Oren Hazan created a cover story and fed radical leftist group falsehoods to prove how it uses uncorroborated lies to attack IDF. 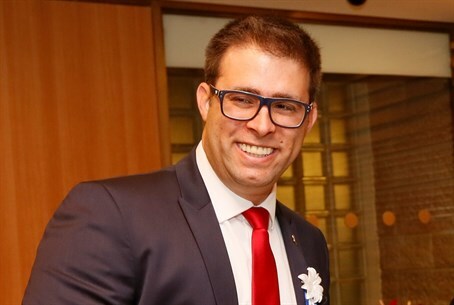 Incoming Likud MK Oren Hazan has been waging an effort to fight the radical leftist NGO Breaking the Silence, charging that the group which is infamous for its attempts to delegitimize the IDF relies on false testimony against IDF soldiers. Channel 10 reported on Tuesday that Hazan approached the leftist NGO under an assumed identity as "Assaf Hazan" after Operation Protective Edge, and made up stories about IDF misconduct to expose how the group passes off uncorroborated falsehoods as fact in their attacks on the IDF. Hazan explained his contact with Breaking the Silence was part of an effort planned together with the Samaria Residents' Council, meant to "expose the lies" of the organization. "I'm really not surprised that the radical leftist organization Breaking the Silence ran to the media, which of course was happy to cooperate with them," Hazan wrote on his Facebook page in response to the Channel 10 report. "So friends, it's time to burst another lie from Breaking the Silence, a radical leftist organization that took as its goal to harm IDF soldiers and our state." The new MK acknowledged he used the name "Assaf Hazan" and gave testimony to activists in the organization, "all as part of an operation planned by me together with the Samaria Residents' Council, to expose the lies of Breaking the Silence and to prove once and for all, with photographed and documented facts, the corrupt methods in which the organization gets false testimony against IDF soldiers." Hazan noted that the false testimony later leads to arrest orders "against the best IDF officers, heroes of anonymous missions and wars, which more than once end with wounded and dead for the defense of the state of Israel against its cruel enemies who seek to harm it." He said he will reveal his findings about the organization and its methods in the near future, adding "just like a good investigator I built a cover story for myself with a name, e-mail and cell phone, and I arrived with this story to give testimony to members of the organization." "I'm just off of a moving evening in which I was sworn in as a member of the Israeli Knesset, but I can promise you that also in the legislative body I will continue to protect and defend IDF soldiers," vowed the MK. "I will prevent any harming of the best of our sons who pay with their blood and lives so that we can all live here in the land," said Hazan. "I will reveal in public the ways of working, methods, false testimony solicitation and foreign funding to Israel of this radical body, Breaking the Silence." According to NGO Monitor, Breaking the Silence's donors include the European Union, George Soros's Open Society Institute (US), the New Israel Fund and Norway, among others.